French seams are a bit time-consuming but a great way of making sure your garment looks as good on the inside as it does on the outside. Pin wrong sides together and sew it together at half your seam allowance (I usually have 1cm which leaves me with ½cm). Now press the seam (still with wrong sides together). Trim down the seam allowance as close to the seam as you can. Step 2. Trim excess fabric. Open up the two fabric sides and press the allowance towards one side (I find this a good preparation for the next step but I think it can be omitted). Step 3. Press seam allowance towards one side. Press face sides together and pin. Step 4. Press and pin. Sew together at half the total seam allowance. Press the seam allowance to the side like in step 3. 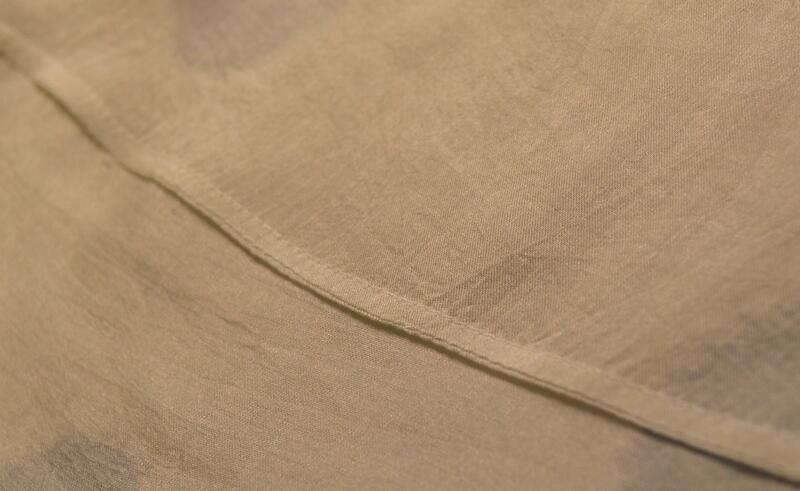 Categories: How-To | Tags: french seam, How-To, sewing | Permalink. How interesting! I’m going to make a French seam into the new dress I’m making for sewing class. Lessons are starting again after the summer holiday is over so I’m looking forward! !